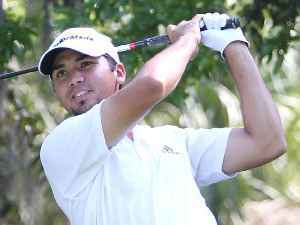 Jason Day is an Australian professional golfer and PGA Tour member. He is a former World Number 1 in the World Golf Ranking, having first achieved the ranking in September 2015. Day first broke into the world's top ten in June 2011, rising to world number nine after his runner-up finish at the U.S. Open. In February 2014, Day won his first WGC title, the WGC-Accenture Match Play Championship and would win it for a second time in 2016. With his 2016 win, he joined Tiger Woods and Geoff Ogilvy as the only multiple winners of the WGC Match Play. He went on to win his first major tournament at the 2015 PGA Championship, scoring a record 20 strokes under par and rising to number three in the world rankings.